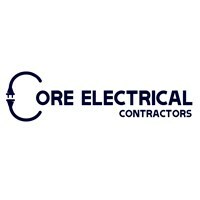 Core Electrical Contractors Ltd - Electrician based in Stapleford, Nottinghamshire. At Core Electrical Contractors we pride ourselves in providing workmanship to the highest standard to the customers requirements. At the same time we treat customer service, reliability and competitive pricing with the same respect as our class of work. We are a local company who believe in the personal touch and giving our customers our full time and attention. We are fully insured and qualified to carry out the work.